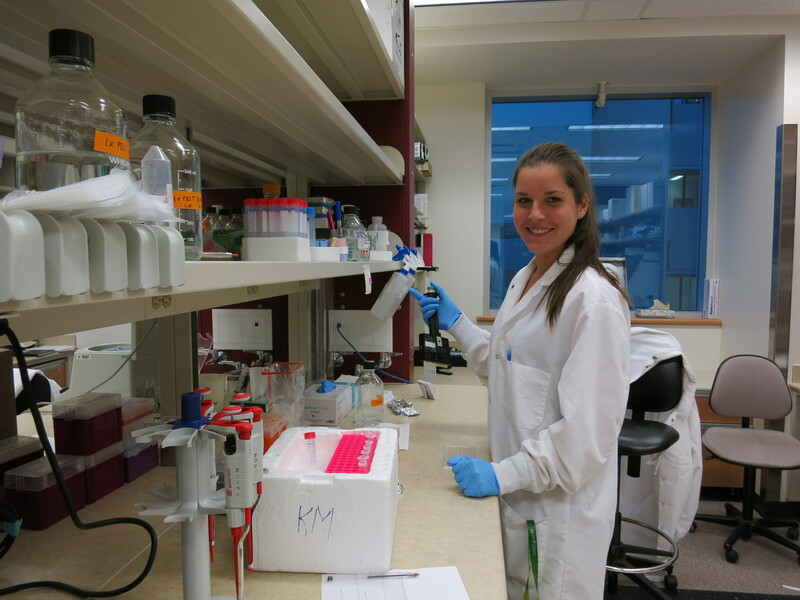 This summer, Ina Werninghaus has travelled from Bonn, Germany to Edmonton, Alberta, where she’s using her background in molecular biology to take part in a research project on pregnant women’s immune responses to malaria. “We need to understand the development of the disease, and the first step is to look at how the body produces antibodies when infected by a species of malaria,” cites Ina. To test their hypothesis, the researchers are studying women in regions in Latin America that have varying levels of Plasmodium vivax. The next step of the research project is to further understand the role of the parasites’ proteins involved in generating potential cross-reactive antibodies. The team’s findings could potentially lead to a malaria vaccine. Mitacs thanks the Government of Canada and the Government of British Columbia for their support of the Globalink research internship in this story. Across Canada, the Globalink research internship program also receives support from Alberta Innovates, the Government of New Brunswick, the Government of Newfoundland and Labrador, the Government of Nova Scotia, the Government of Ontario, the Government of Prince Edward Island, the Government of Quebec, the Governement of Saskatchewan and Research Manitoba.